How time flies. 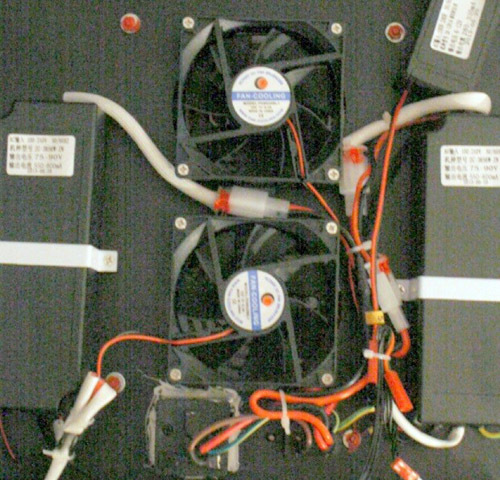 It has been seven years since I wrote a product review on the first commercially available LED lighting system (PFO’s Solaris). That article created a lot of controversy, and blogs & billboards were alive with opinions on LED lighting. Since then, the detractors from the ability of LEDs to maintain the health of corals in captivity have been proven wrong, and this form of lighting has gained wide acceptance within the hobby. And, as popularity grows, prices continue to fall. 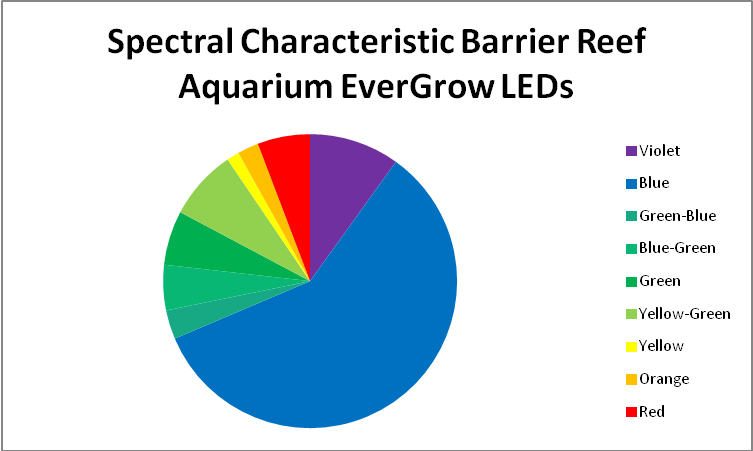 This month’s review is that of the EverGrow Nova A4 LED luminaire customized with LEDs selected by Barrier Reef Aquariums of Seattle, Washington. The Nova A4 luminaire has an adjustable spectrum – there are two control channels. One controls white and ‘color’ LEDs and the second adjusts the royal blue LEDs. The LEDs in this unit possess some interesting spectral characteristics. 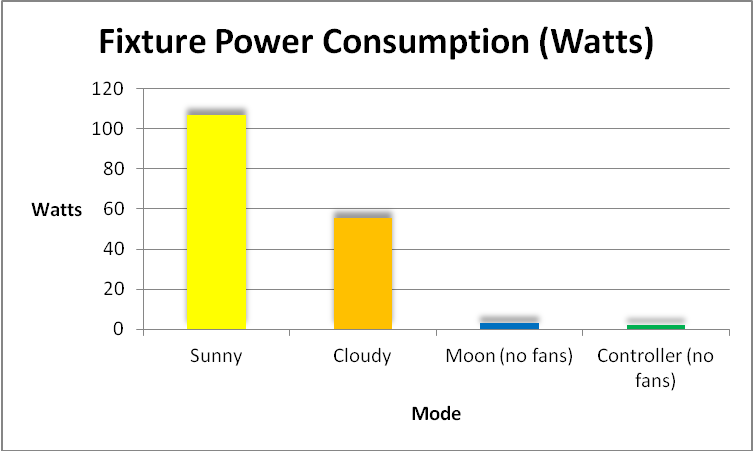 The Spectral Power Distribution (SPD) shows the LEDs’ outputs are almost exactly as advertised. Violet light is important in the promotion of photosynthesis as well as corals’ production of fluorescent and non-fluorescent proteins. See Figure 1. Two green LEDs produce light peaking at 513 – 515nm. See Figure 4. Figure 6. 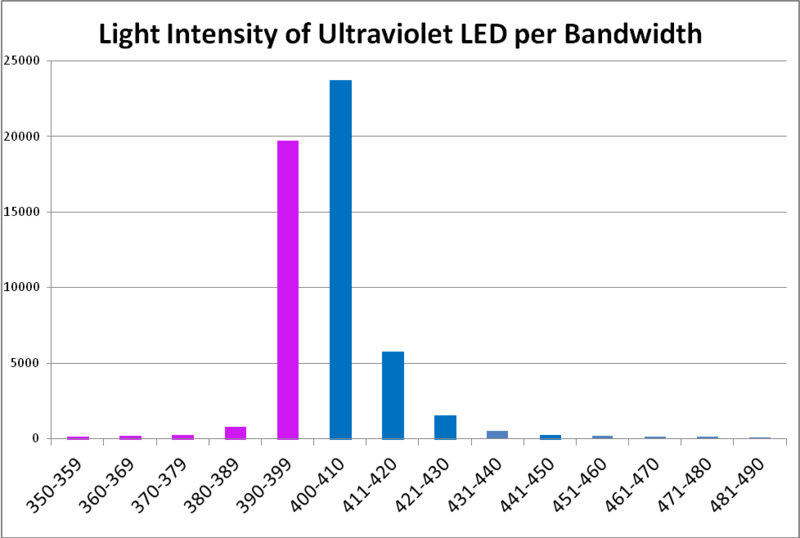 Spectral power distribution of a ‘white’ LED. Figure 7. Combined spectrum – both channels at 100%. A ‘manual’ mode allows dimming of light in two channels (one channel is for the 21 LEDs producing light peaking at 450nm and the other dims all others.) This feature allows an infinite tuning of spectral characteristics and light intensity. Figure 10. 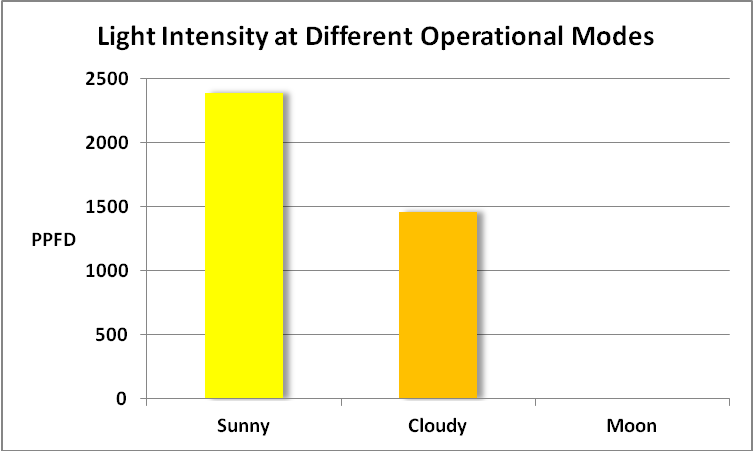 The ‘cloudy’ mode reduces light intensity by ~40%. Light intensity of the ‘moon’ is less than 1 µmol·m²·sec. Light distribution patterns are rarely, if ever, uniform across a given area, and light produced by this fixture is no exception. See Figure 12. These measurements were taken with a Li-Cor Li-1400 quantum meter and Li-192 quantum sensor at a distance of 3.5 inches below the fixture. Recall that maximum sunlight intensity is ~2,000 µmol·m²·sec – this fixture approaches this value under these circumstances. Figure 12. 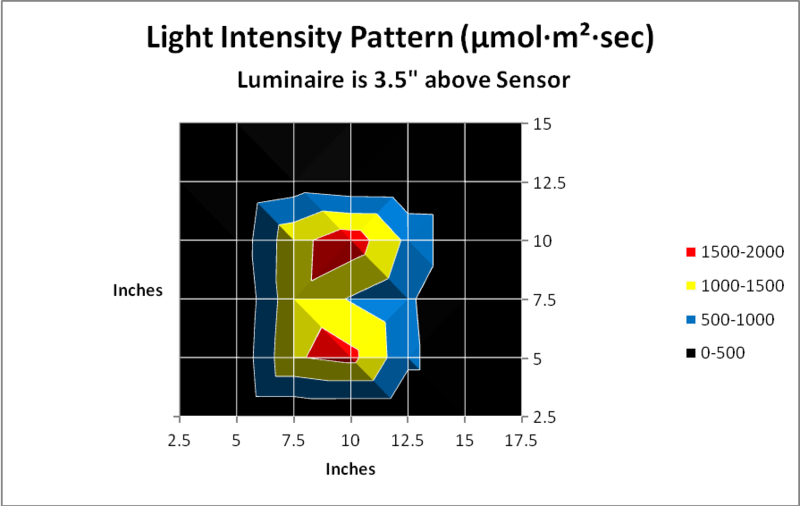 Light distribution pattern at 3.5″ below the fixture. Measurements made with a Li-Cor quantum meter and sensor, and reported as µmol·m²·sec. A remote control device is included with the Nova luminaire. It provides a convenient means of programming the fixture, as well as an off/on switch. The white buttons on the controller are phosphorescent – they slightly glow a greenish color in conditions of low light. This thoughtful touch makes the controller easy to use when programming even in low light conditions. See Figure 14. Serious hobbyists might use a PAR meter to determine light intensity when installing this fixture. Few will have the luxury of a ‘lab grade’ quantum meter, such as that made by Li-Cor Biosciences and will instead use a less expensive device (such as that made by Apogee Instruments). 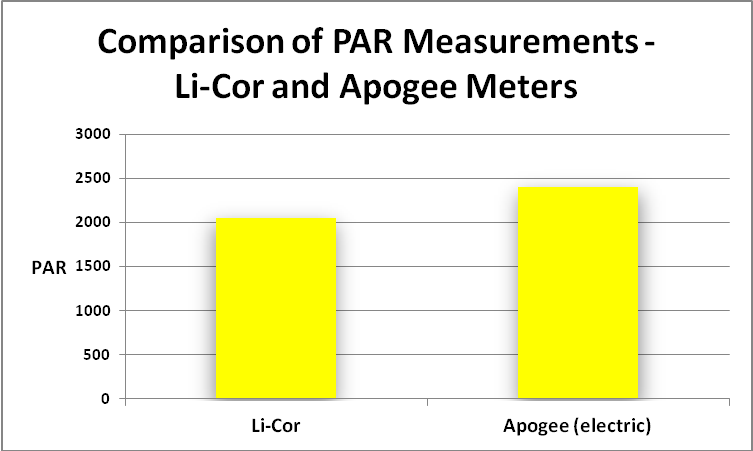 I compared the measurements obtained through use of these meters, and found that the Apogee meter (when in ‘electric light’ mode) reported a value ~15% higher than those made with the Li-Cor. See Figure 15. 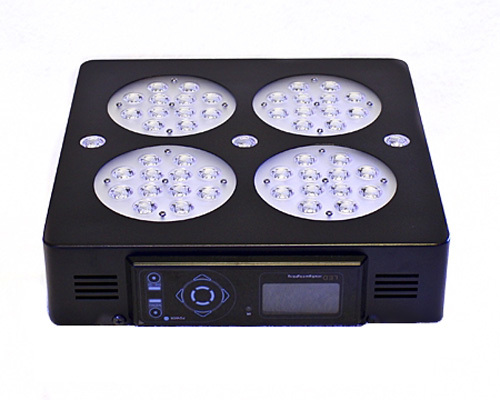 This LED fixture offers impressive performance at a reasonable price. 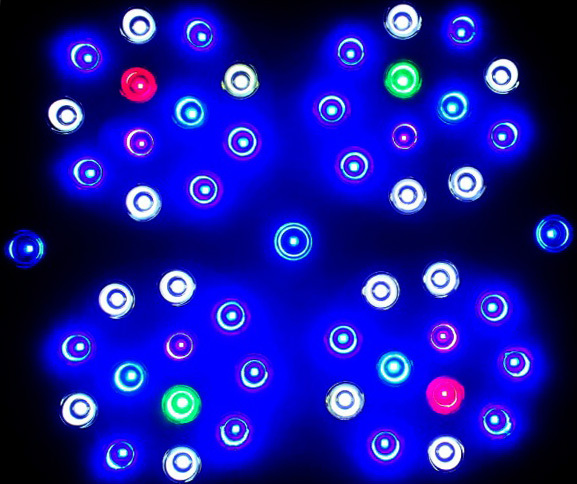 The customized spectrum produced by the LEDs is interesting in that it is not the standard mix of blue and white LEDs. The addition of violet light (at 420nm) and green (at ~515nm) provides a visually balanced spectrum (as well being able to promote photosynthesis. The photopigment peridinin found in zooxanthellae absorbs green light – this is the reason zooxanthellae are brown). The light is intense enough to allow the fixture to be positioned well above the aquarium, where it is less likely to be subjected to water splashes and salt spray. However, the housing is made of a ferrous material and a protective coating of clear polyurethane or car wax (or both) is recommended for protection. Barrier Reef Aquariums recommends one of these fixtures for every 20 inches of aquarium length (approximately). The amount of light produced by this fixture is remarkable and can certainly meet requirements of the most demanding corals. In fact it can easily exceed their needs and care should be used when mounting it above the aquarium. 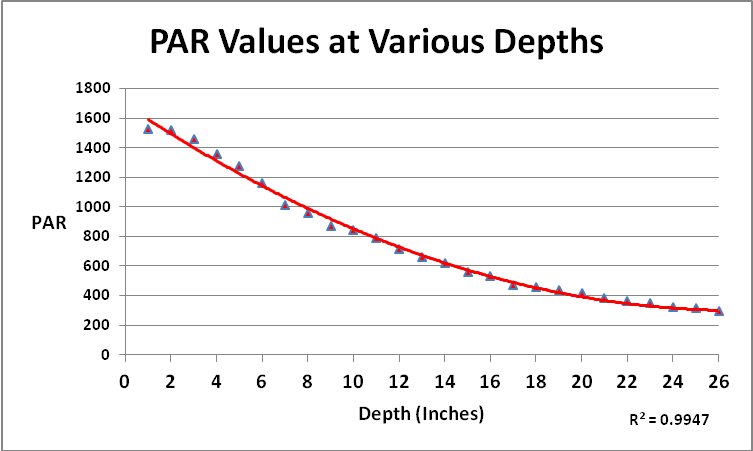 Figure 13 shows the PAR values at various depths (the fixture is 6.5 inches above water level). 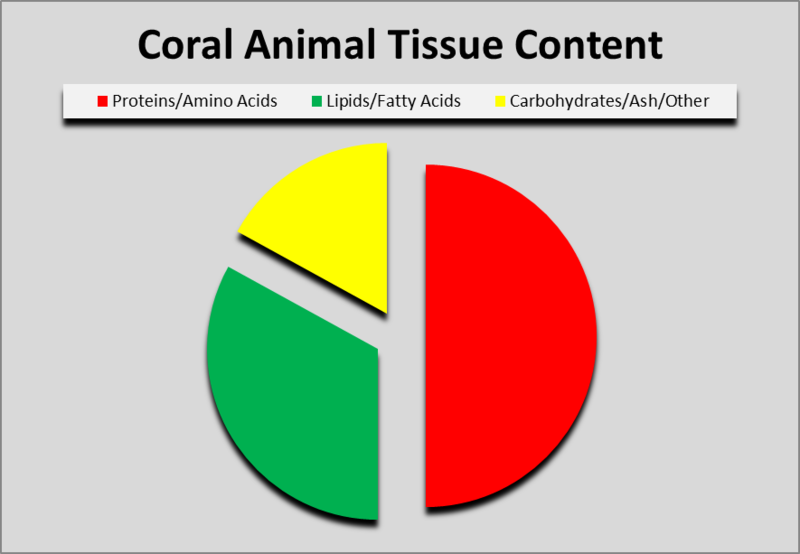 Most corals need only 200 – 300 µmol·m²·sec in order to saturate photosynthesis (where increasing the amount of light will not increase the rate of photosynthesis.) Mounting the fixture at least a foot or so above the aquarium is probably a good idea but monitor the corals for any signs of distress. Using the dimming feature is another option. Remember that an Apogee PAR meter reports values about 15% higher than that of a ‘lab grade’ quantum meter. If you’re in the Seattle area, visit them at: 1717 NE 44th Street, Suite A, Renton, Washington. They’re behind the Impressions Dentistry office. Barrier Reef warrants that EverGrow’s products will be free of defects for a period of 2 years, in either workmanship and/or defective components. 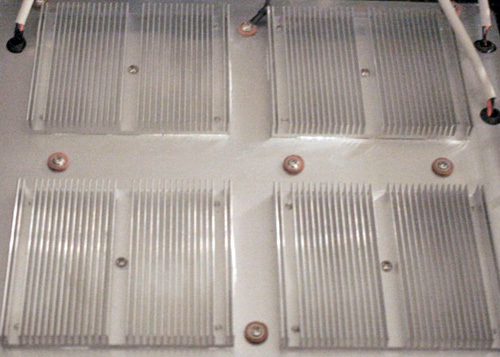 Failures due to abuse, moisture, and improper ventilation are not covered. Proof of purchase is required. Light attenuation was determined with a Li-Cor underwater quantum sensor (calibrated for ‘air’ and ‘water’ where appropriate) mounted on a specially built jig. The sensor was lower incrementally into a black polyethylene drum filled with freshly mixed artificial sea water.